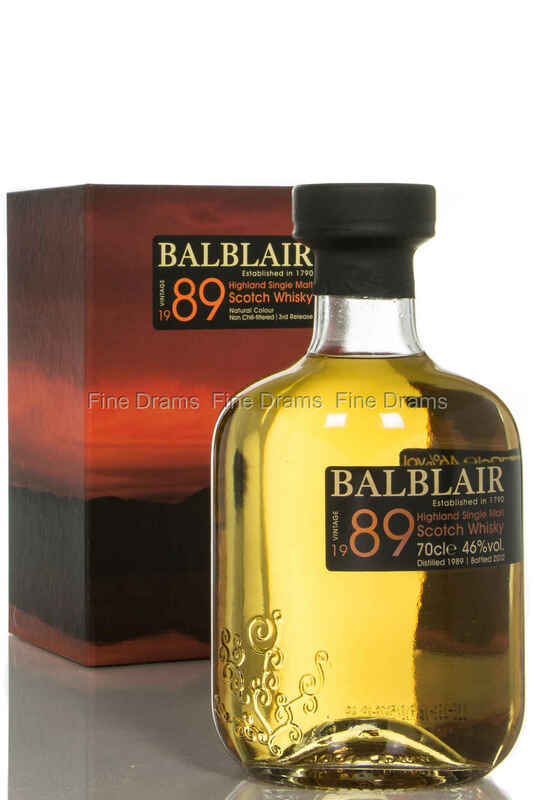 This is the 3rd release of the 1989 vintage Balblair. This is a full bodied single malt with aromas and flavurs of raisin, apple and hints of banana and lemon zest. To best showcase these flavours and aromas, it has been bottled at 46% ABV, without chill-filtration and artificial colouring. This release was bottled in 2012.